The National Young Audiences Arts for Learning (YA) network had a tremendous seven days as we celebrated the congressionally designated National Young Audiences Arts for Learning Week (YA Week). Throughout the country, the YA network held events in celebration of our combined mission to inspire young people and expand their learning through the arts. We had great support from our representatives in the US Congress and Senate. We would like to thank Congresswoman Louise Slaughter, Senator Charles Schumer, Senator Kirsten Gillibrand, and all the parents, teachers and students who helped make this week so successful for the Young Audiences Arts for Learning network.  To read more about YA’s advocacy efforts, click here. YA Week has come to an end and I wanted to share with you my experiences when I visited two Young Audiences New York’s (YANY) programs on Tuesday, March 18. The first event was at the Creative Dance Residency at P. S. 163 in Manhattan where Third grade students under the direction of Teaching Artist Yloy Ybarra gave a Mexican inspired dance performance. Earlier this month, I saw the students perform at YANY’s Children’s Arts Award Benefit and once again, these eight year old students did an outstanding job with their elaborate dance performance. We were happy to welcome many special guests to the P.S. 163 event including Sydney Renwick, Director of Community Outreach at Senator Schumer's Office who presented David Dik, YA's National Executive Director with a Senate Proclamation that thanked the YA network for its important work in arts in education. Kim Greenberg, Chair, Young Audiences New York, presented the School Community of P.S. 163 with this year’s Children’s Art Award, thanking the parents, teachers and school leadership for their commitment to making arts education a reality for all the kids in the school. It was great to see so many parents and members of the school community attending the event and to be so captivated by the student performance. There is a preconception that most Out of School Time programming offers simply a safe place for young students to hang out and get a snack after school. 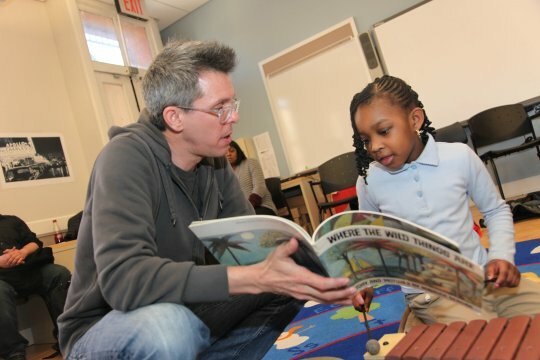 On my second site visit to YANY’s Afterschool Early Education Percussion Residency at Teacher's College Community School (TCCS), I witnessed a very engaging program for kindergartners. 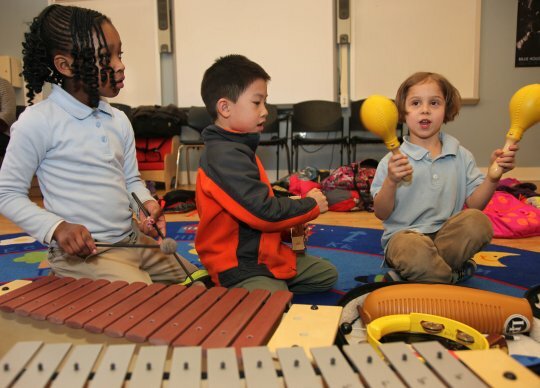 At this year-long afterschool workshop, two kindergarten classes at TCCS are currently receiving instruction in musical concepts and percussion. The residency program, led by Teaching Artists Trey Files and Eric Phinney, focuses on traditional playing techniques and rhythms using Middle Eastern percussion instruments. Trey Files started his class by reading Where the Wild Things Are by Maurice Sendak. It was great to see these adorable kindergarteners so enthralled by the iconic illustrations and memorable story. When Trey finished the story, the class was divided into two groups; the first a much larger group went with a teacher’s aide to draw scenes from the short story. The second group of four students were given instruments and instructed to carefully listen to each other play. I was very impressed how the teaching artist captured the wandering attention of these kindergarteners, who were constantly being distracted and captivated by the musical instruments, but he gently and swiftly focused their attention on the lesson. He taught them about rhythm and how to repeat it and play with other students. These simple lessons and tasks will culminate in a group performance at the end of the residency program. I would like to thank Eileen Doyle, Executive Director and Gloria Mable, Director of Operations and the entire YANY staff for organizing these events.